TheSamba.com :: Split Bus - View topic - New Bus- '56 Springframe Westy! New Bus- '56 Springframe Westy! 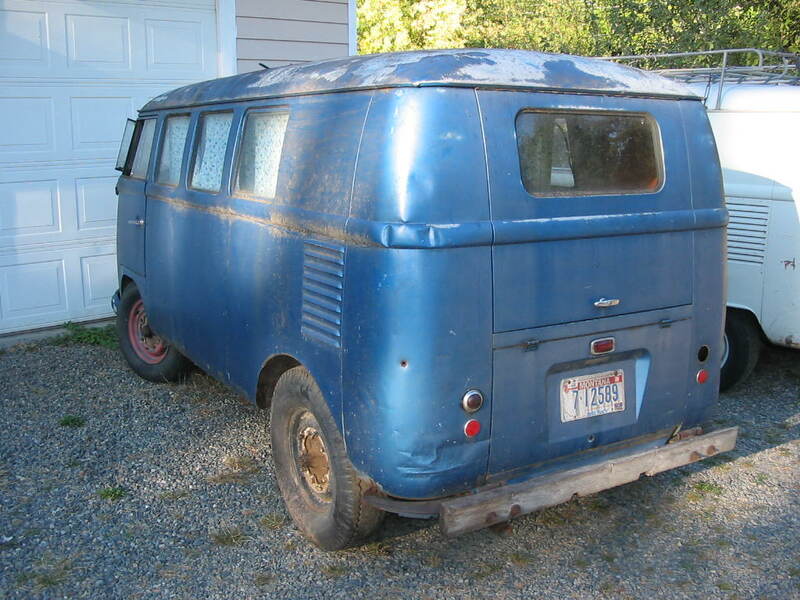 Posted: Tue Sep 13, 2005 7:18 pm Post subject: New Bus- '56 Springframe Westy! Greg and I just bought this tubular frame Westfellow from a really nice guy who had owned it since 1970. He parked it is 1980. It arrived at its new home today!!!! The same rear bumper was on the bus in a wedding photo from 1974, but it was original paint then. We have the other taillight. He did a lot of driving on dirt roads, and added the extra preheat as it was so cold there. I might add that the steering is really worn. It came with the spring frames but is missing the roll up cabinet in the back. 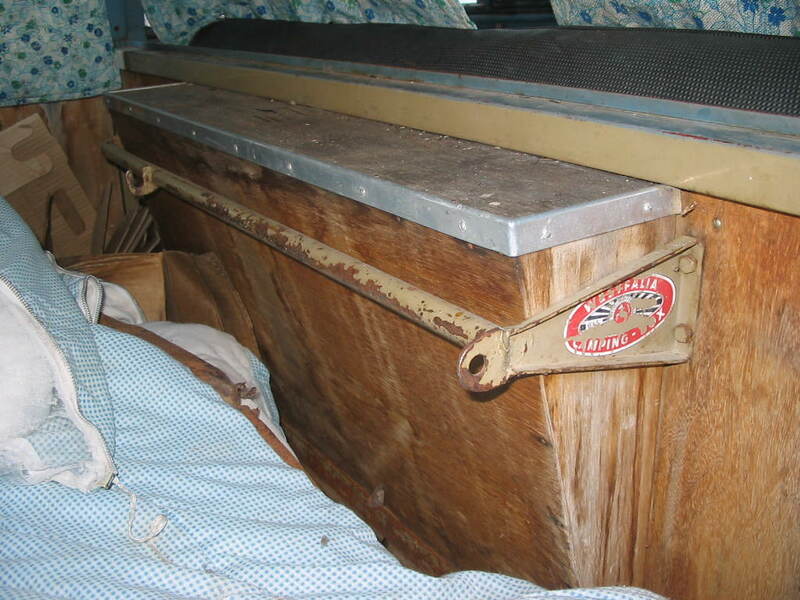 The hatch hinges were funky, so put a tie down strap around the whole bus to keep the hatch with the bus. I like the new bus. So does this mean you won't need that ratty 53 anymore? I call dibs. mine it totally older than yours. by like 195 buses. they were almost certainly on the factory floor at the same time at both factories. probably both built on the same day. cool score. 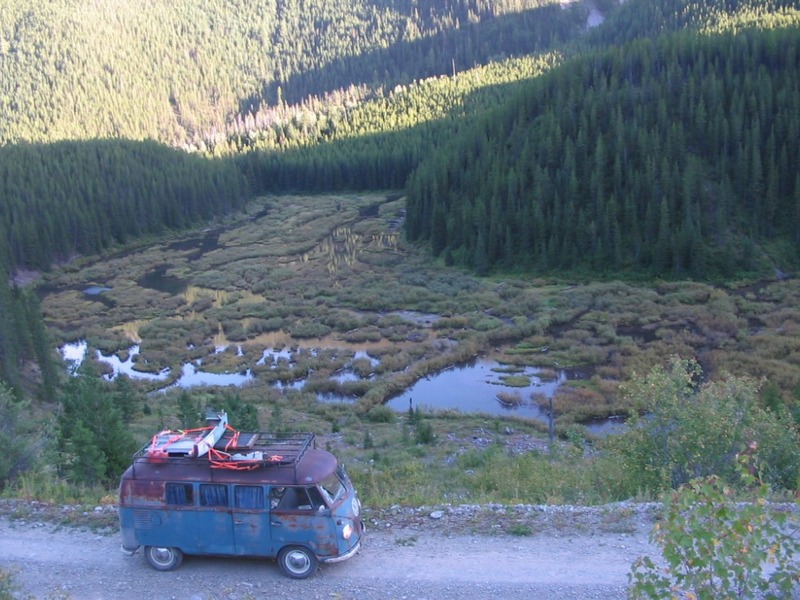 welcome to the club of early westfalia owners. so how many busses do you own now that have cut wheel wells? That makes two, the brown barndoor singlecab and this one. Nice find! Cool to have a little history too from the sounds of it! Now, where did you guys hunt that out of? Lets see some more travel pics! If I had to guess, I'd say.....Montana?? Very cool bus. I like the Westfalia sticker too! So will this be a baja camper? Aha, just checked gallery.....very nice! And he towed it home for you too with his magicwagon, lucky! I'd like to get the wheel wells and the nose clip fixed as soon as we dial in the mechanicals. 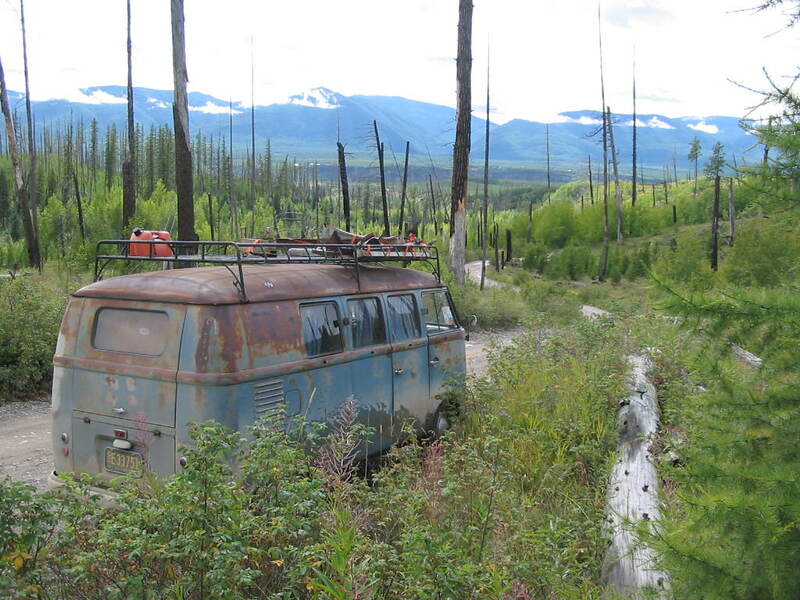 It's got some rust in the outriggers and rockers from being a "backroads" bus for so long.....they were filled with dirt when we got it. Sweet! Nice find. Now all it needs is airscoops. Looks like a great find, and an awesome rescue trip! Congrats, and thanks for the great pics. 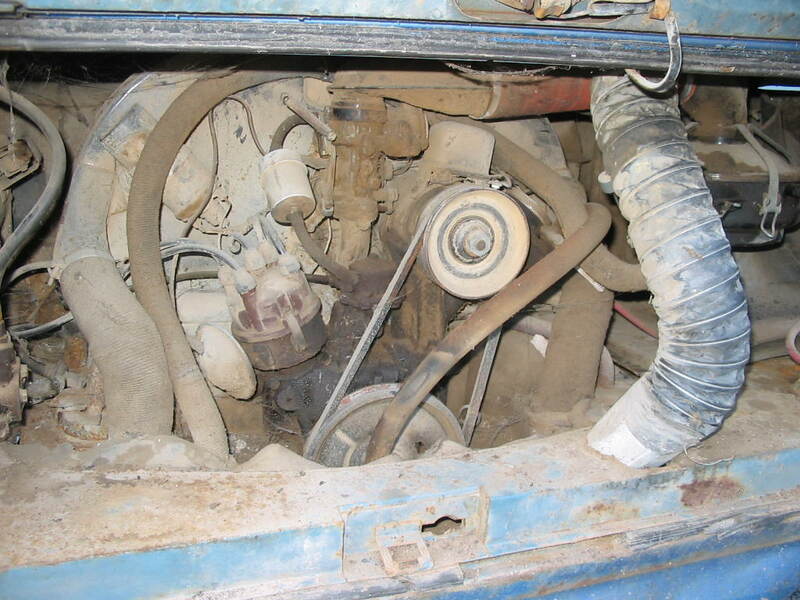 Hey Lind, your bus is older (by 298 actually on the VIN), but mine has an interior. nya nya nya. The PO thought someone had stolen the airscoops off it, but we found them. He was all bummed, that's when he towed it to town, where it sat under an apple tree. In the 70s, shag carpet, wood rear bumper, cut wheel wells and air scoops were cool. At least it doesn't have hacked taillights or bulkhead. I think I'm going to wash it now. yeah, but mine has been repainted an uglier color. and the shag carpeting was on the front seat of mine, so it was a little more deluxe. This one has shag up front too......but on the front floor not the seat. 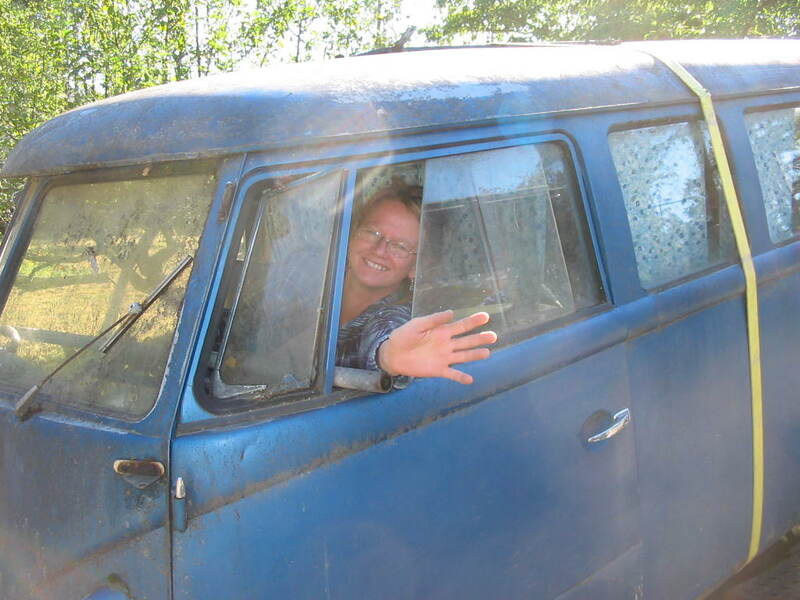 It's actually a pretty nice bus.....aside from the nose damage and the wheel wells, it's in better shape than the 10-55 subhatch I'm restoring. We're in the market for a mint dove blue nose if anyone has something for sale.